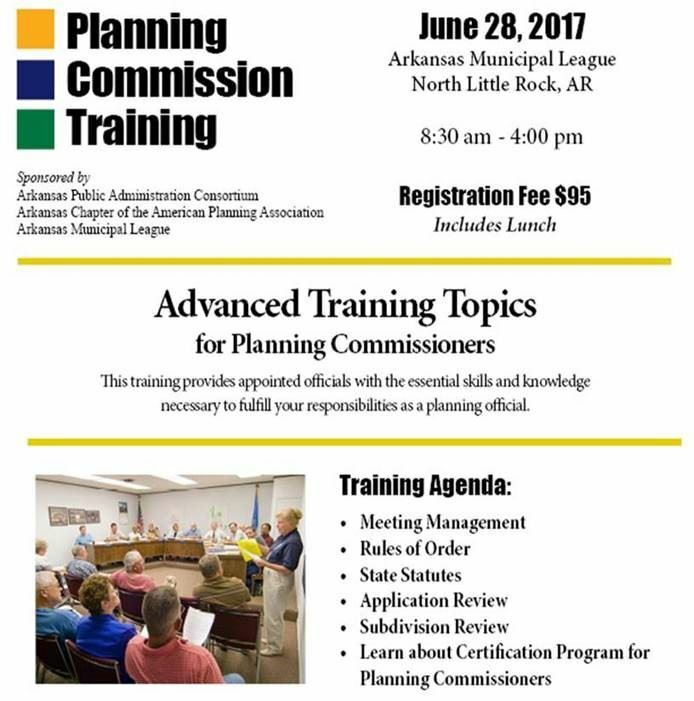 This training provides appointed officials with essential skills and knowledge necessary to fulfill your responsibilities as a planning official. Seating is very limited - register today! For more information, please call APAC at (501) 569-3436.